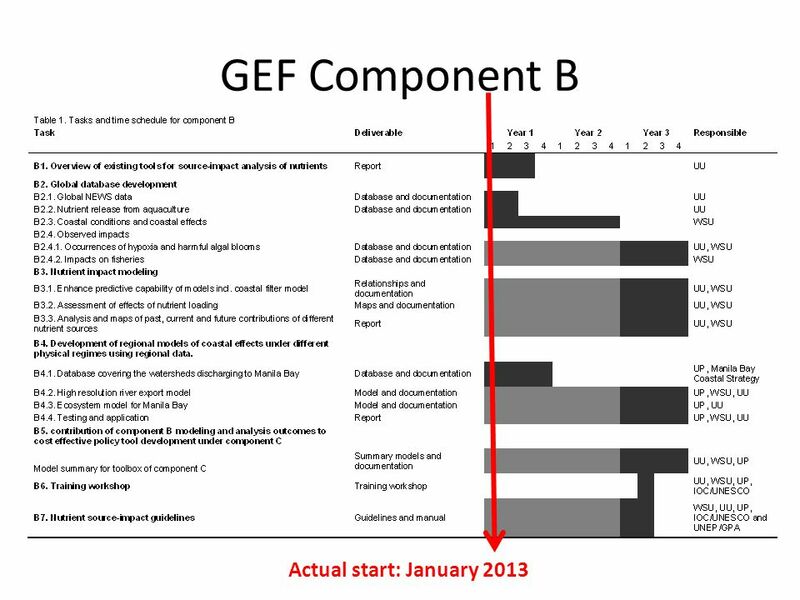 GEF Component B Actual start: January 2013. 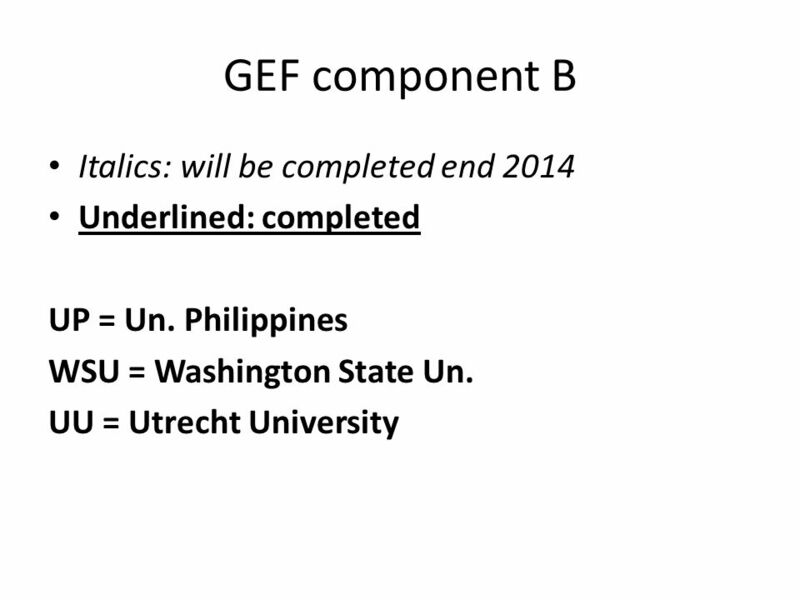 GEF component B Italics: will be completed end 2014 Underlined: completed UP = Un. Philippines WSU = Washington. 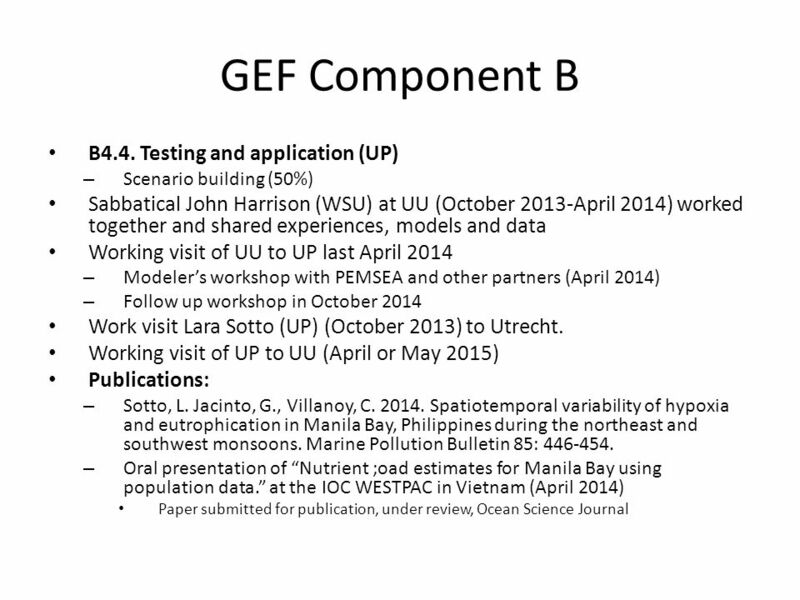 Download ppt "GEF Component B Actual start: January 2013. 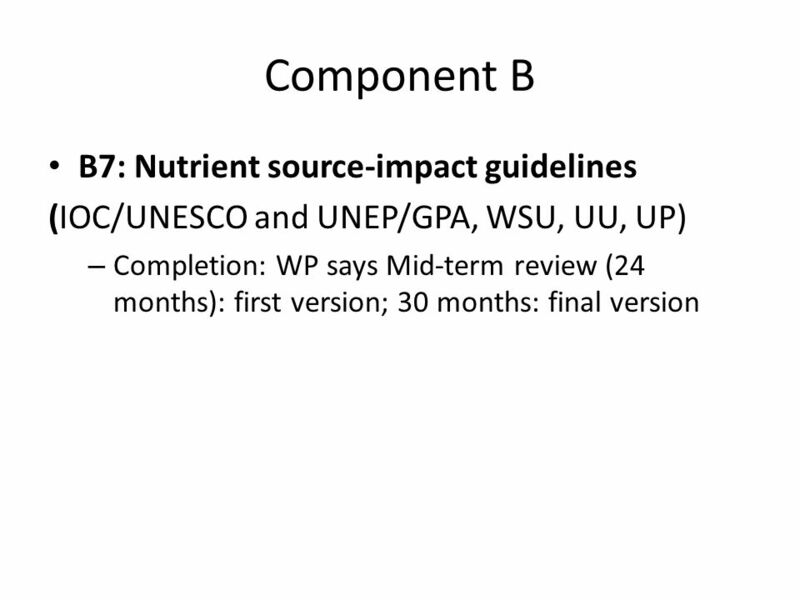 GEF component B Italics: will be completed end 2014 Underlined: completed UP = Un. Philippines WSU = Washington." Insert Page Title here Insert Page Content Here The Global Programme of Action Preventing the degradation of the marine environment from land based activities. 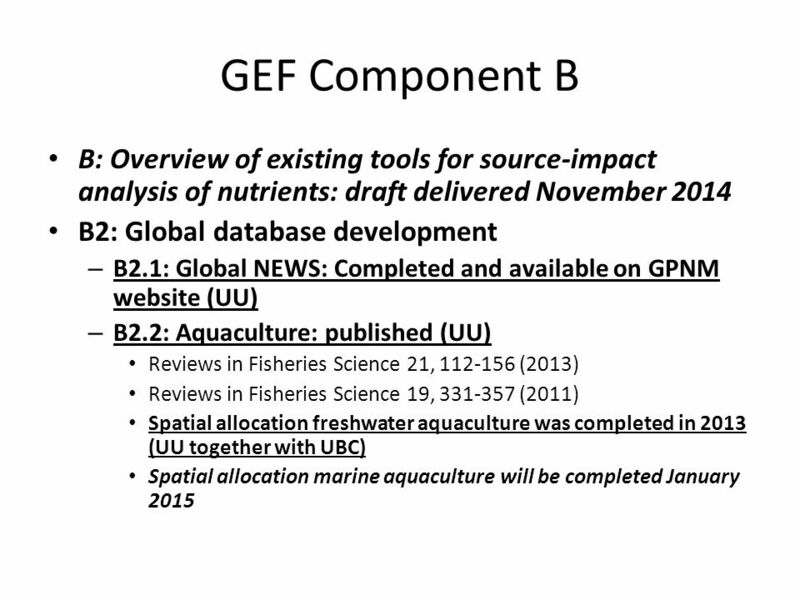 Aquaculture Areas of Possible Collaboration High Priority Areas 1.Integrated Multitrophic Aquaculture 2.Develop and verify models to predict environmental. 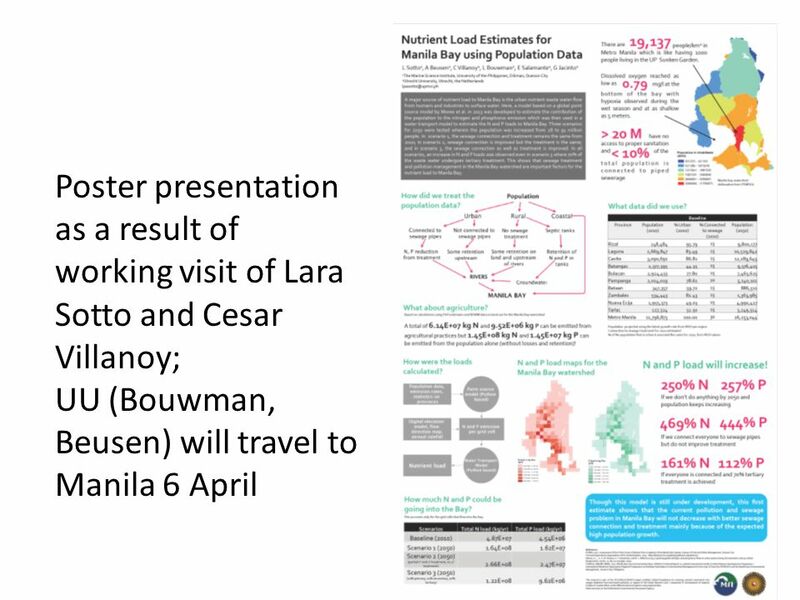 Mediterranean Sea Basin Checkpoint a user of EMODnet Chemistry N. Pinardi E. Clementi C. Panaroni INGV EMODnet Chemistry Data Products – Experts Workshop. Reactive nitrogen (N) is essential to life, making up compounds such as proteins and nucleic acids. Technology now allows us to create N fertilizers, increasing. Massive Porites sp. 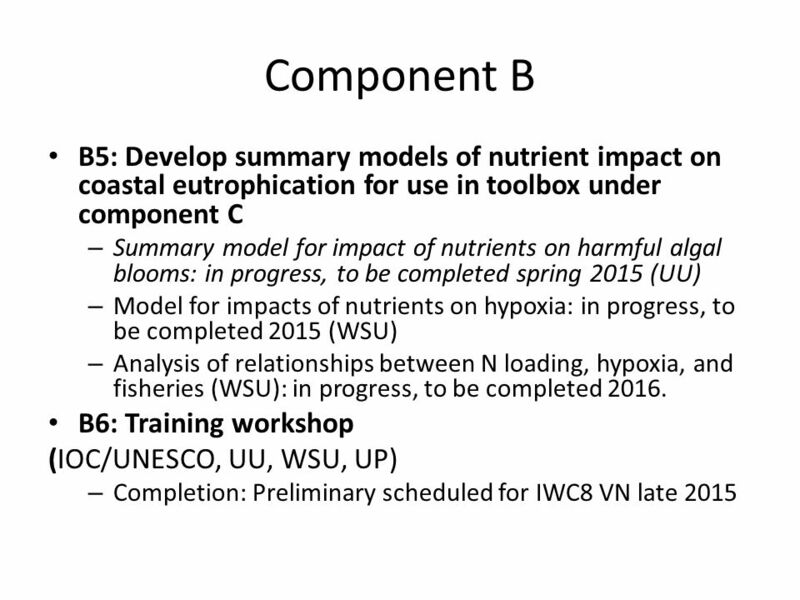 corals as indicators of historical changes in river runoff: A case study for Antongil Bay (Masoala National Park, NE Madagascar ) J. 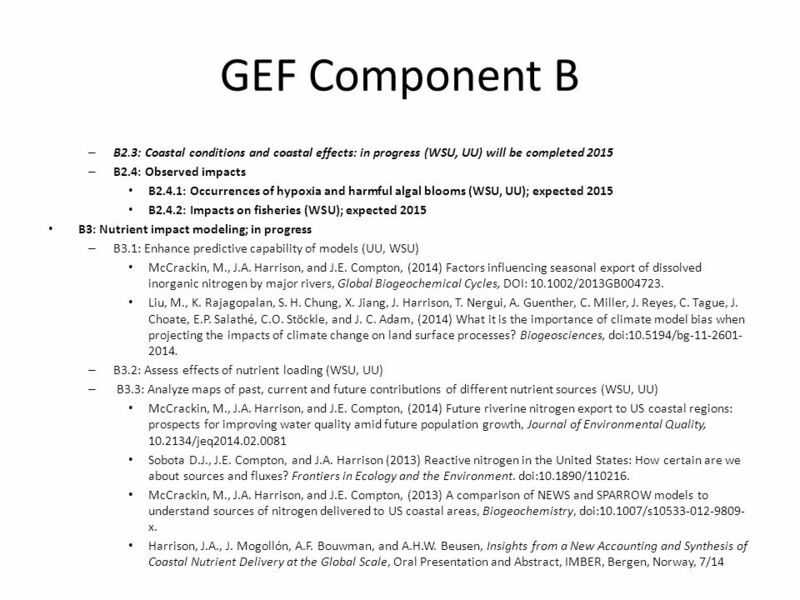 Draft Hydrology science questions for WATER HM Dennis P. Lettenmaier Department of Civil and Environmental Engineering University of Washington Water HM. NCCOS Centers Center for Coastal Monitoring and Assessment, Silver Spring, MD CCEHBR - Cooperative Oxford Laboratory Branch, Oxford, MD Center for Sponsored. 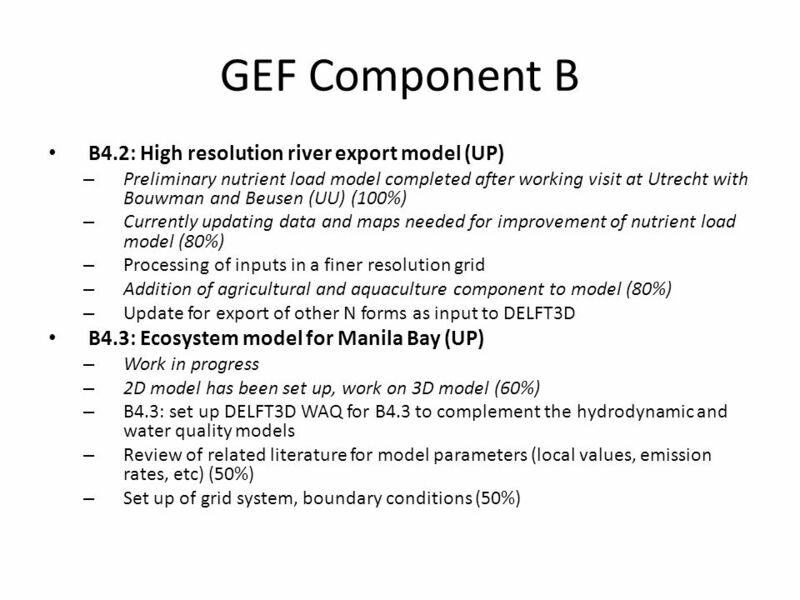 Sybil P. Seitzinger International Geosphere-Biosphere Program (IGBP) Stockholm, Sweden Modeling global river export: N, P, C, Si E. Mayorga A.F. Bouwman. Moving to Horizontal Connections: Design Concept 2 Impacts: 1. 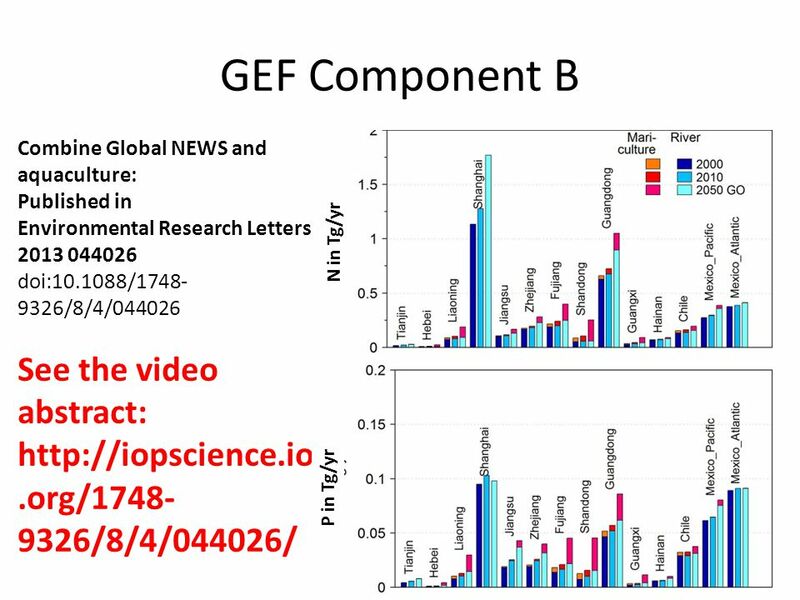 What are the critical interactions among resources (and resource management) that will. The Importance of Coastal Waters - Recent Reports National Coastal Condition Report National Coastal Condition Report Heinz Center’s State of the Nation’s. 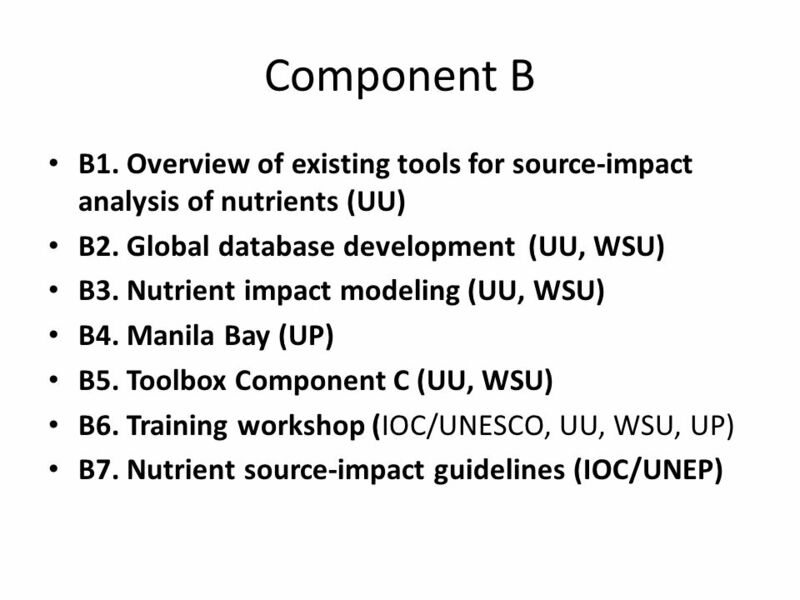 October 3, Outreach Updates Climate Science in the Public Interest UW Climate Impacts Group Lara. 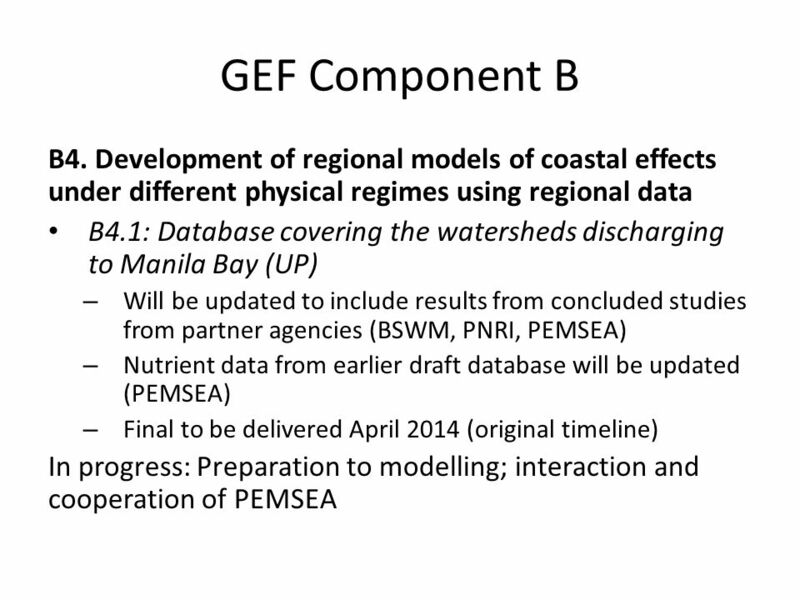 Integrated Ecosystem Assessment for the Gulf of Mexico Becky Allee Gulf Coast Services Center. The U.S. Climate Change Science Program Dr. James R. Mahoney Assistant Secretary for Oceans and Atmosphere Director, Climate Change Science Program.